I think when you become a parent romance can sometimes be put to the back of the queue. The other weekend I was sorting some stuff out in the garage when I came across mine and Jon’s memory box. It is full of every single letter, card and little scribbled note we have ever written to each other, starting from the very first letter Jon wrote for me when we were good friends but he realised he had more feelings for me. All our memories, love notes, doodles and declarations of love are in that tatty cardboard box and I sat on our kitchen floor and got tears in my eyes reading some of them. 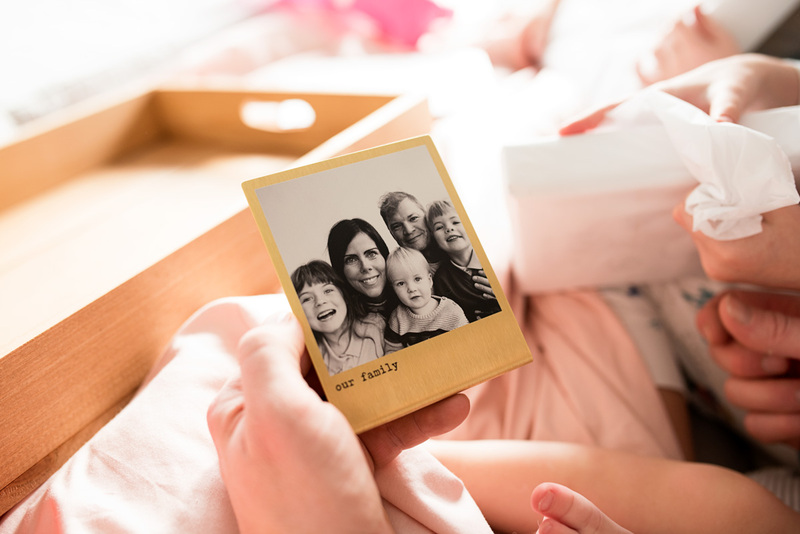 While I still keep every card on birthdays and other special occasions, since we had children you can definitely say that the surprise notes or thoughtful cards have diminished somewhat. 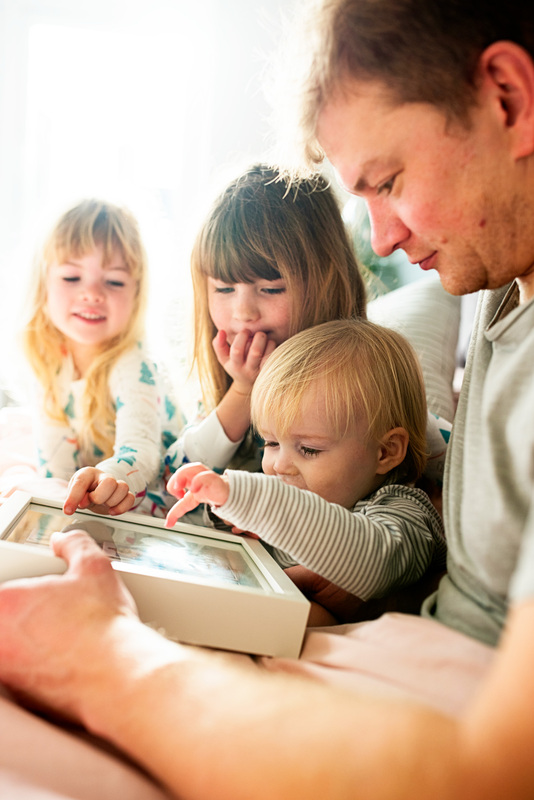 Which is a shame when you think about it, but that’s life and we are busy and have our three little ones to look after. 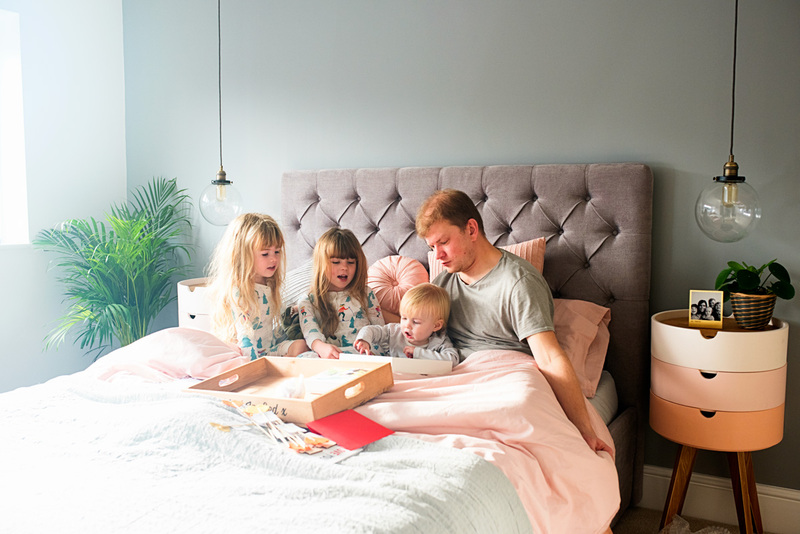 Without a doubt one of my all time favourite websites for house bits and thoughtful gifts is notonthehighstreet. I can truly say it is one of my favourite brands, just for the beautiful things they have on their website, and I have been shopping there for years. So when they got in touch with me to ask if I wanted to be part of their #lovethoughtfully campaign, I jumped at the chance. They are championing the idea of giving a little love, to all those we love. 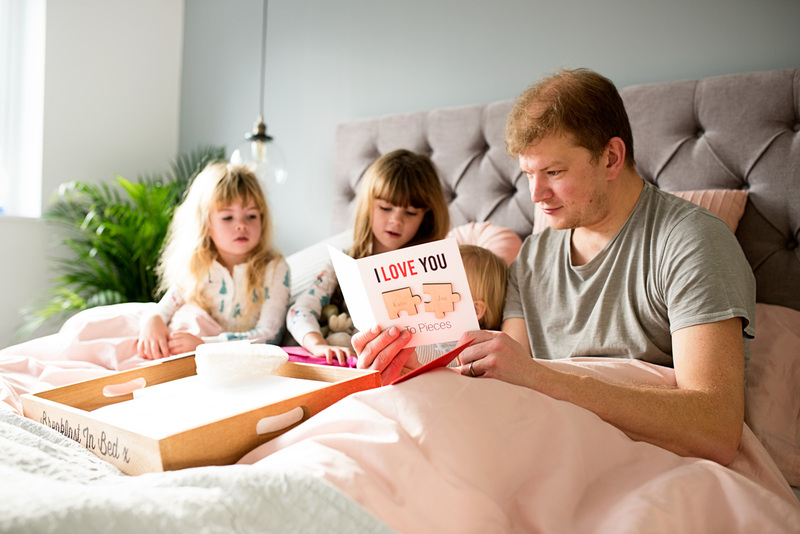 We shouldn’t need an excuse to surprise the people we love with a heartfelt gesture, but at the same time Valentine’s Day is the perfect excuse to do it. NOTHS told me to pick someone I love and choose a couple of little surprises for them. At first I thought I should think outside the box to one of the many people I love and care about. My mum perhaps who has been there for me since day one and who is my best friend? My sister who has just got the keys to her first home and would love a little treat? But I knew I had to choose my official Valentine- Jon. As cheesy as it sounds, I can’t even begin to explain all that Jon does for us. I mean I have to say it because he is my husband but he truly is one in a million. 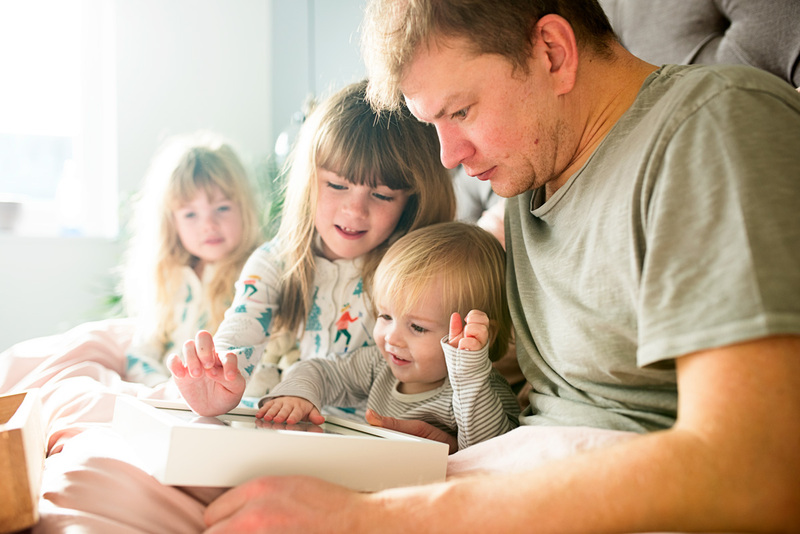 He supports me unconditionally, he puts my own needs before his own always, and he couldn’t be a better dad to our three children. He is selfless, he is kind, he makes me laugh every single day, and he is just so caring. 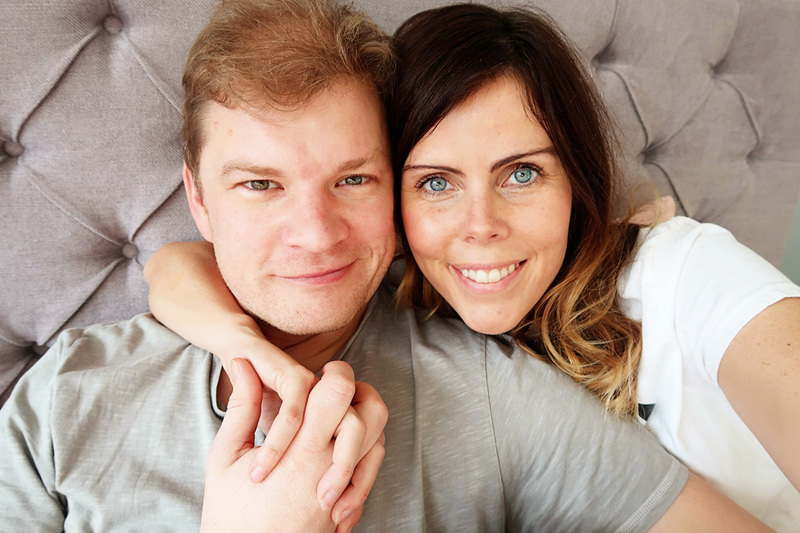 We have been together nearly 12 years now, married for 8, and before that we were very close friends for a couple of years too. Sometimes I like to think of the sliding doors effect, about what would have happened had I not gone for lunch that day in Leeds when I was a student. What if he hadn’t been working and handed me the application form? My life would have been so very different. Who knows, I hope I would have been happy. But I wouldn’t have all that I have now. And be living the life I have with the people I love most. So of course I had to treat Jon to a few little surprises. 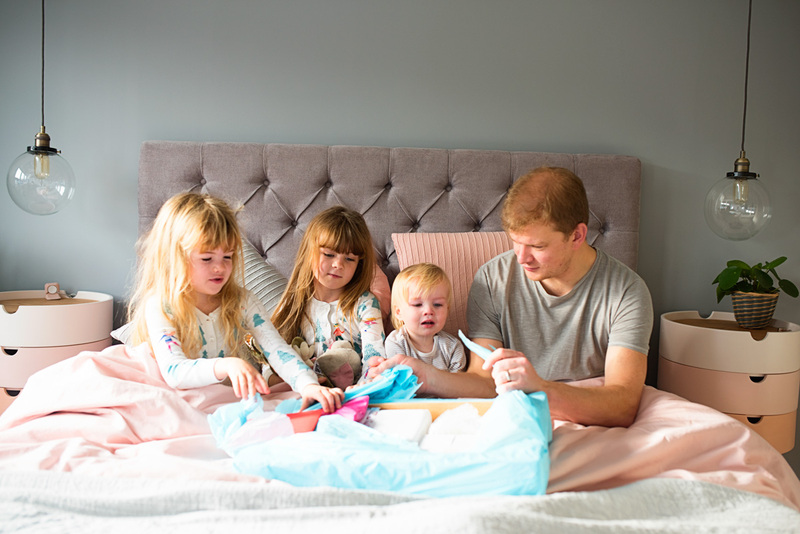 But how it so often is now we have our three little people, they wanted to get involved in Daddy’s surprise. Maddie helped me wrap the presents and was so excited to see Daddy open his little gifts. So we woke him up last Sunday morning for an early Valentine’s Day treat to show him just how much he means to us. 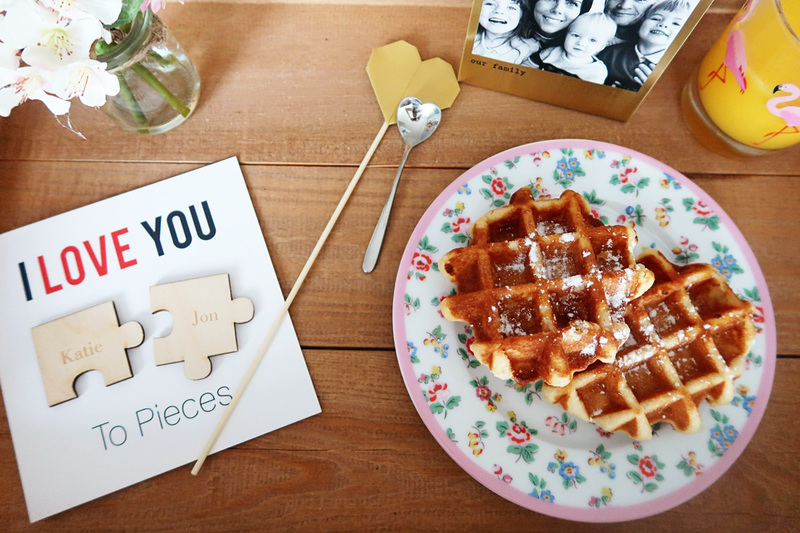 I loved this jigsaw ‘Love you to pieces’ Valentine’s Day card (£10.50 here) personalised with our names, I think that I am going to frame it and put it somewhere in our newly decorated bedroom. 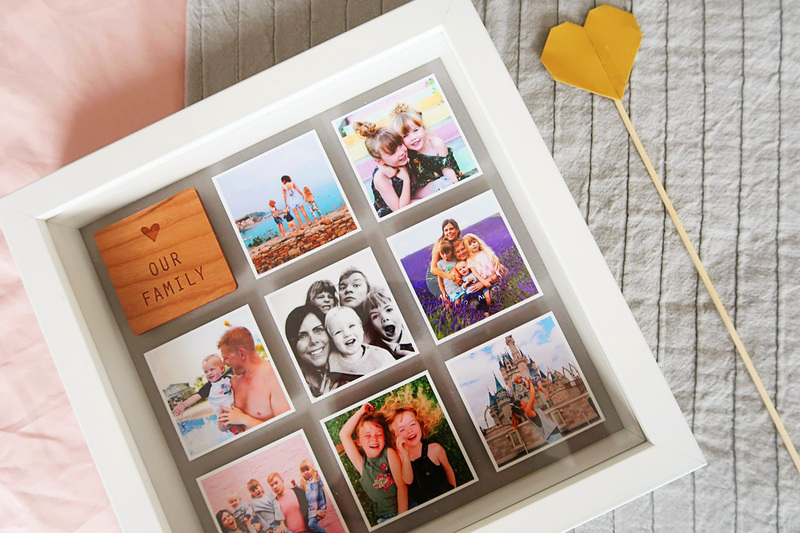 I love this solid brass photo frame (£21.45 here). 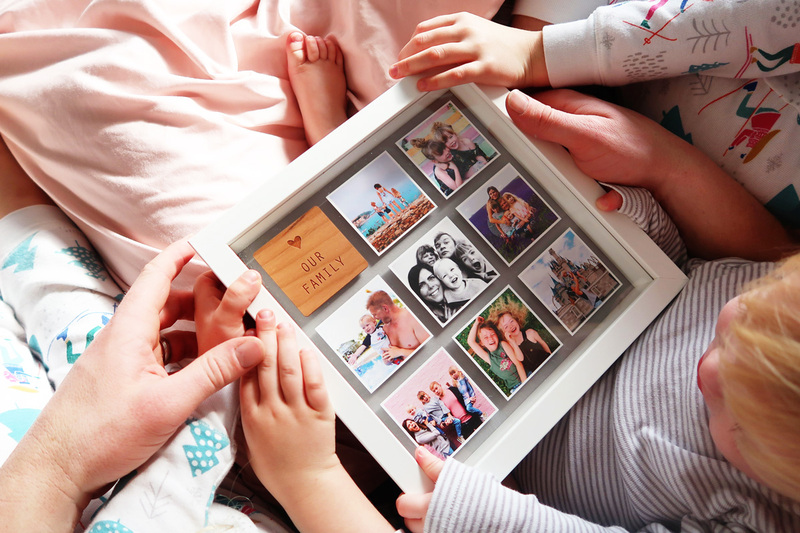 The photo is actually etched on to the frame and it is a gorgeous keepsake, you can choose your own little message on the bottom. 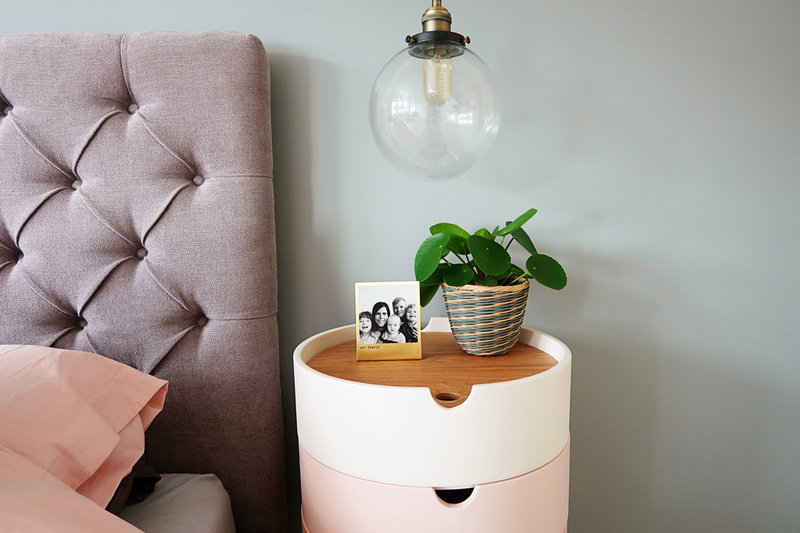 I actually bought one of these a couple of years ago when we did our office conversion in our old house, but it was copper and I wanted brass to match our new bedroom decor. 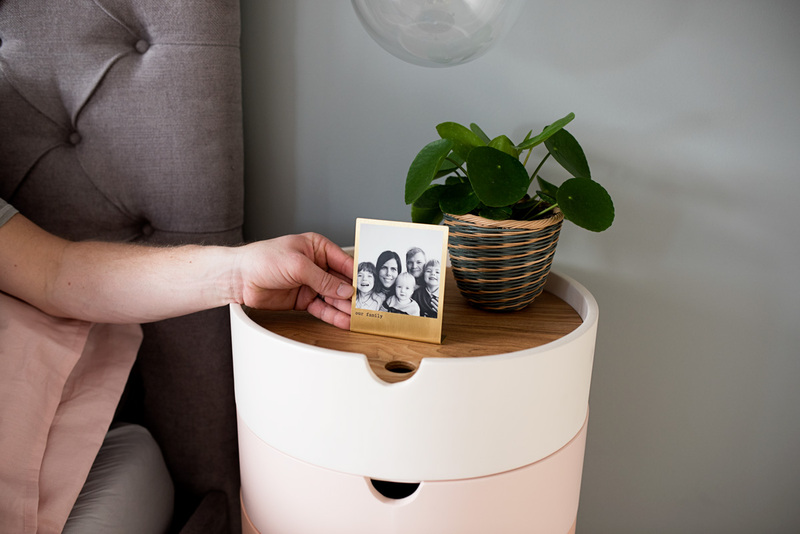 It’s really lovely and Jon decided he was going to keep it on his bedside table. The next thing I got him was this beautiful framed photo print (£48 here). 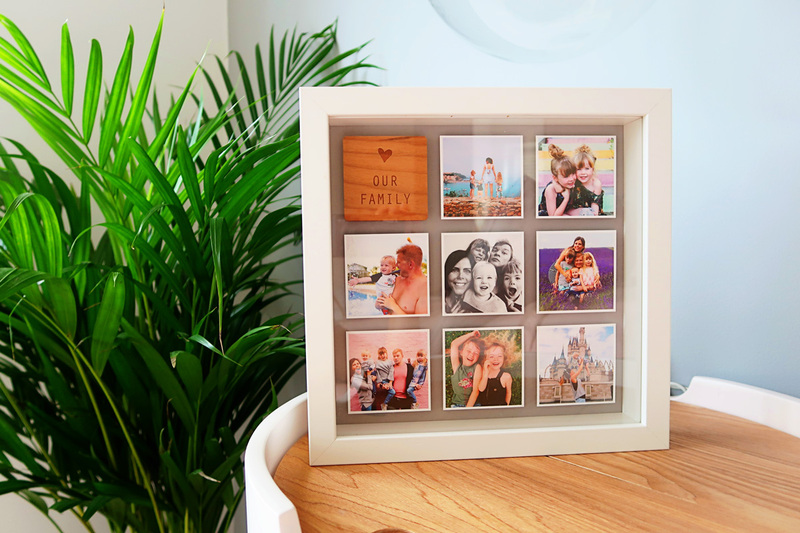 You can really customise these, and choose how many photos you want, the colour of the frame, the background card colour, the colour of the wood message etc. I chose the simple message ‘Our family’ again. The girls and Wren loved looking at it and remembering where each photo was taken and Jon won’t like me to say this, but he got tears in his eyes looking at this one. 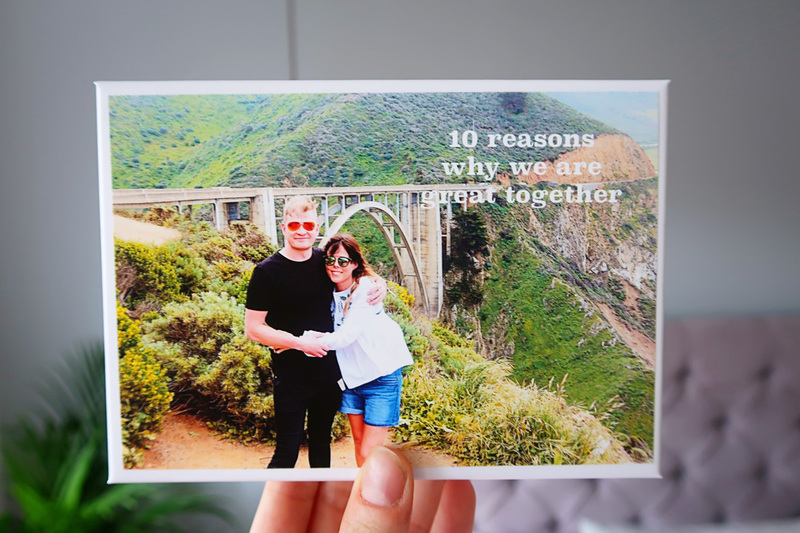 I also wanted to get him something about just the two of us and as soon as I saw these ‘reasons why we are good together’ cards (£16 here) I knew I had to get them. They come in a beautifully presented box and inside is a numbered card which is blank for you to write your own message. I filled these with meaningful things that are way too cheesy for the internet! Again such a lovely and unique gesture. We also got these gorgeous origami hearts (£49 here) which would be perfect for putting in a vase on the table for Valentine’s Day or another special occasion, or even using as name place holders at a dinner party. You can write a meaningful message on each one. And lastly the final thing I got is something which I know we will use constantly and which we have been meaning to get for a long time. 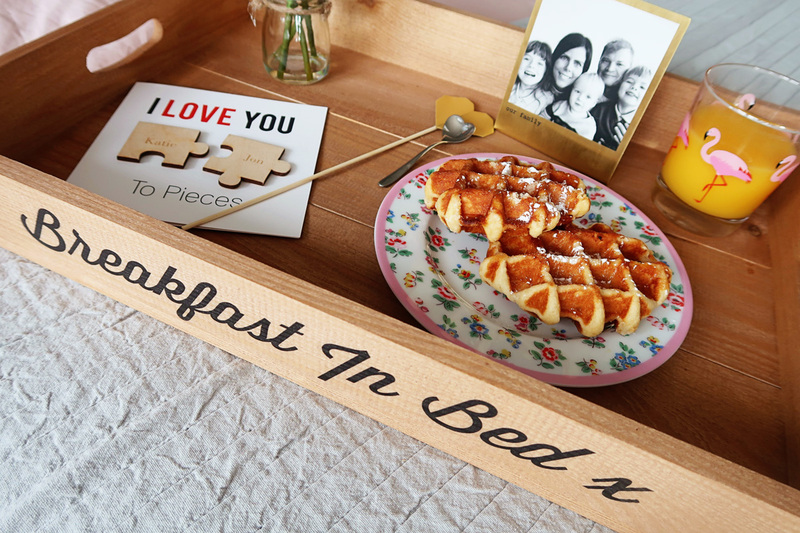 This beautiful ‘breakfast in bed’ tray (£29.95 here) can again be personalised with your own message and colour. We often treat the other to breakfast in bed from time to time (usually nothing fancy, but something like toast!) so I know we will get lots of use out of this. 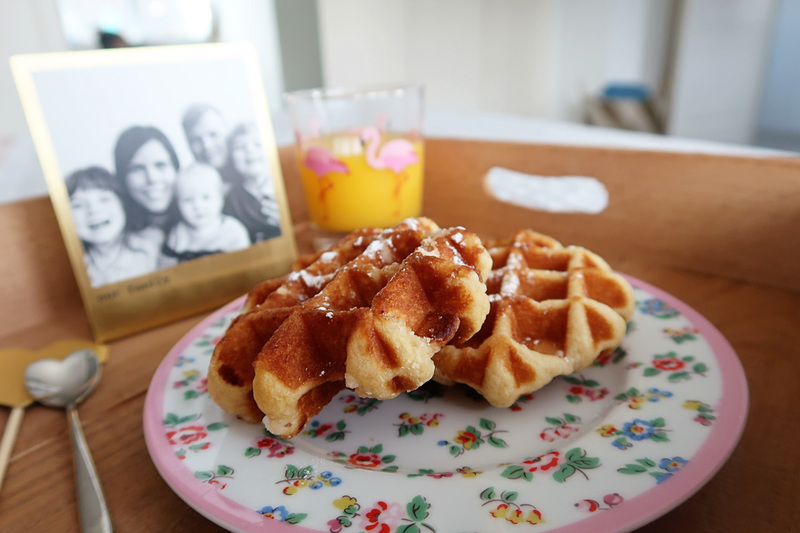 Because the girls were involved we had to have waffles for breakfast! Jon was thrilled with his little surprise and was genuinely a little bit emotional about his presents. 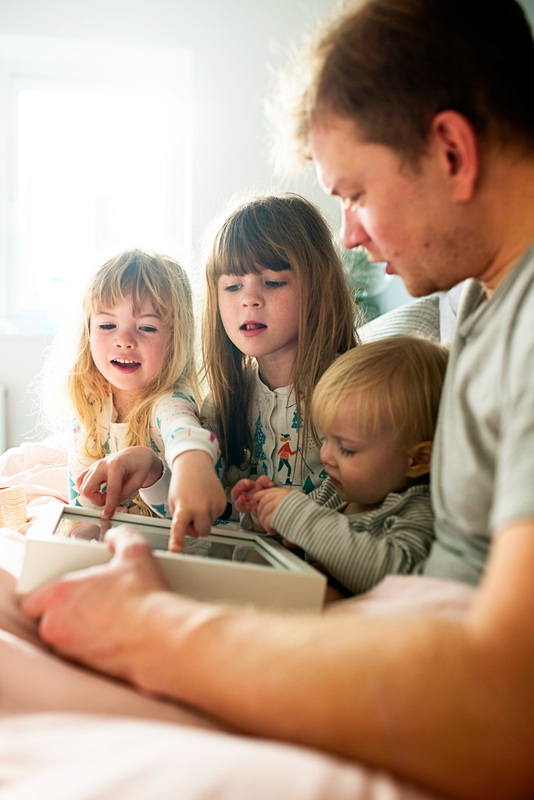 That’s the thing I think with Not on the High Street, it makes gifts that are so thoughtful and that the recipient will truly be touched with. It was lovely to treat him to an early Valentine’s Day treat, especially as we are going to be on holiday on the actual day. 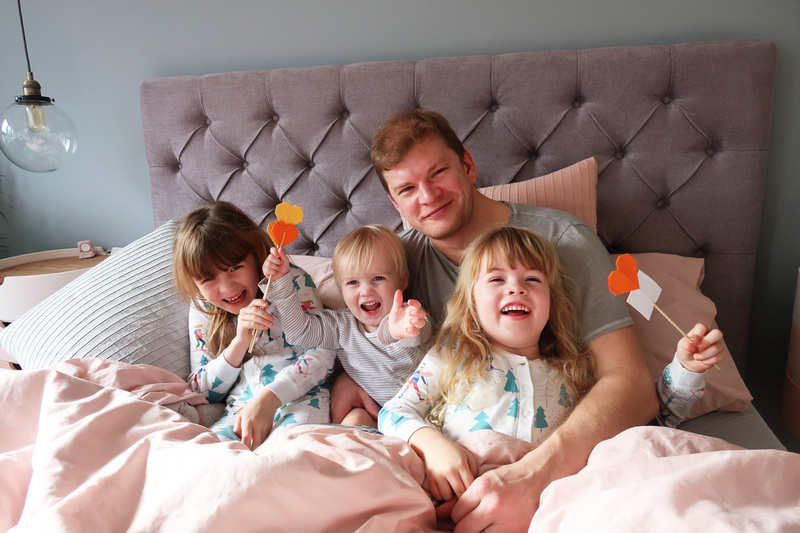 The girls also loved being in on the surprise of surprising Daddy and it was lovely to plan a Sunday morning doing this. 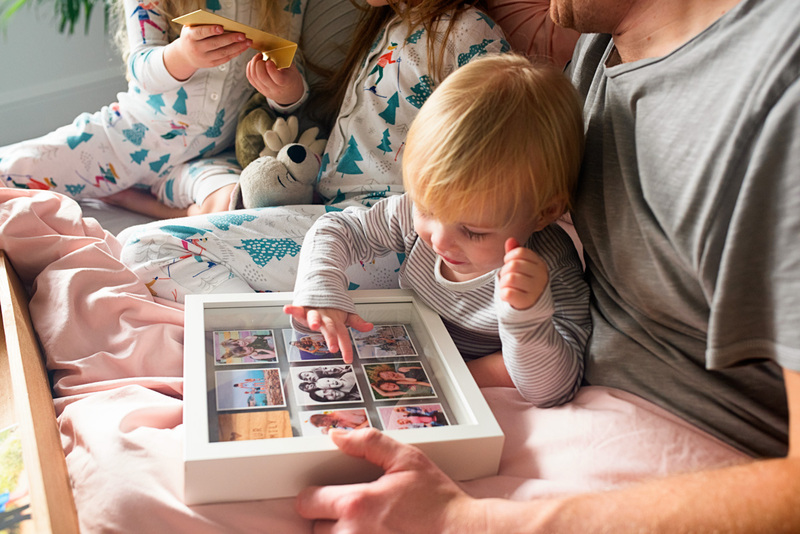 We then spent the rest of the day in our PJ’s, so it was a pretty lovely Sunday all round. NB: Thanks so much to one of my most absolute favourite brands for working with us. 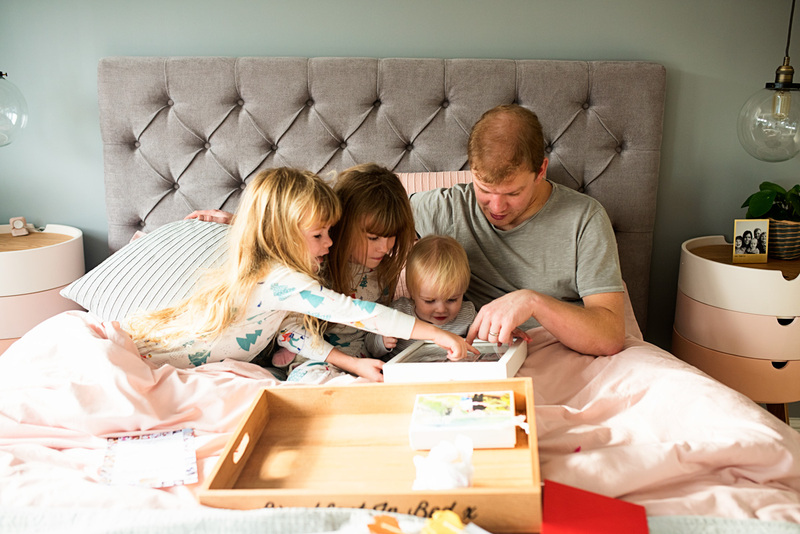 If you’re looking for inspiration to show those you love how much you care for them you can find more at notonthehighstreet here. 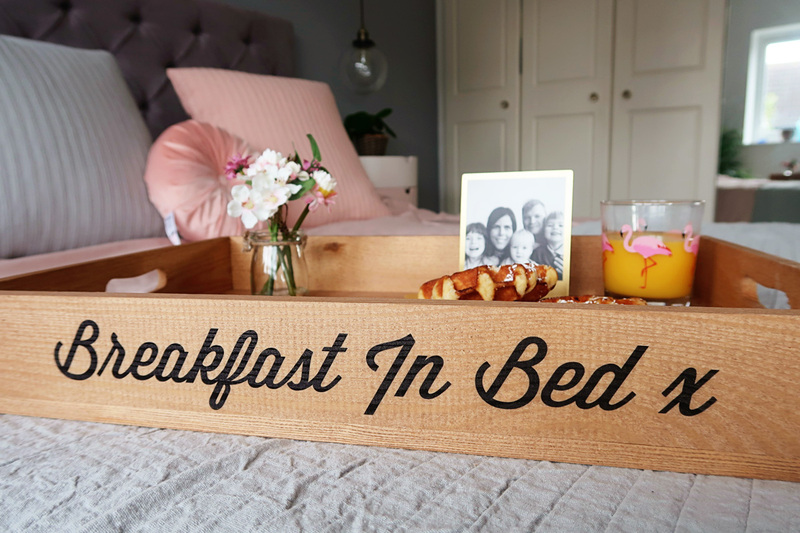 Great gifts Katie, absolutely love the breakfast in bed tray! Oh, Katie…! What gorgeous bits! 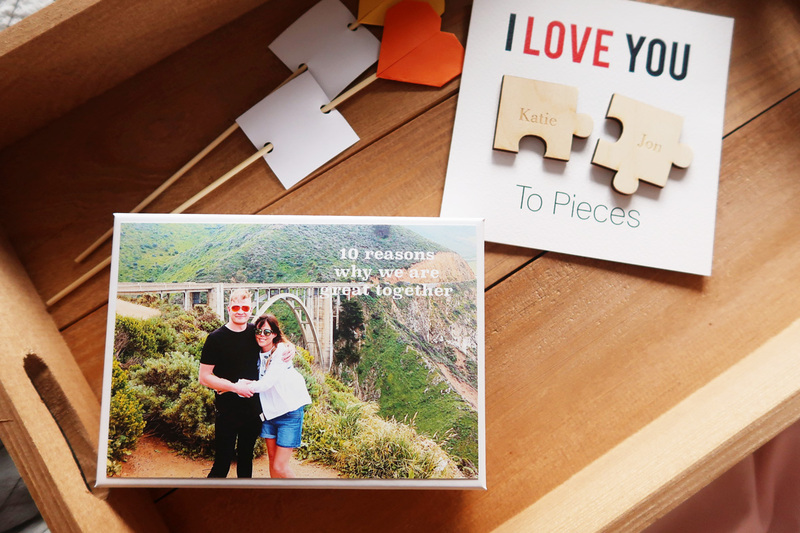 We ADORE NotHS – it’s my go-to online shopping destination for quirky and meaningful gifts, as well as treats for myself! Ah these are such lovely gifts! I love NOTHS, you can always find something special, unique and personalised and it’s my go to place for presents that really mean something. 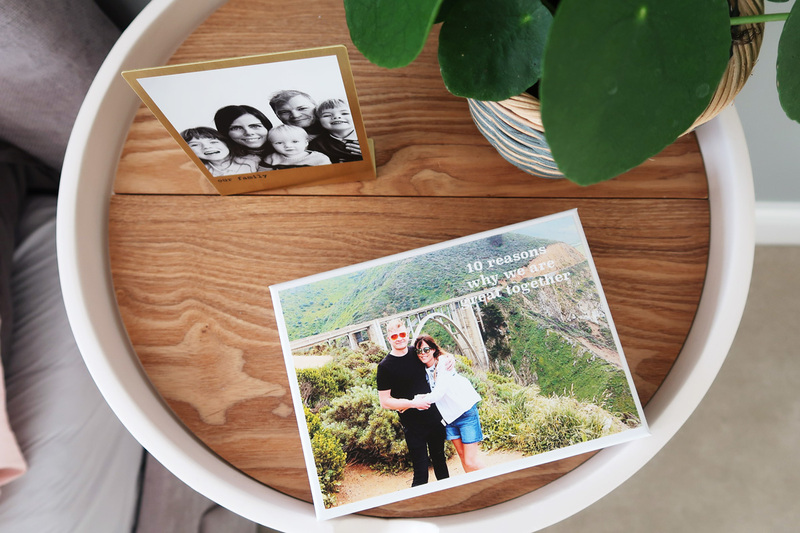 I love NOTHS for thoughtful little gifts – they are the first place I look for anniversary presents for my husband and birthday presents for my best friends. 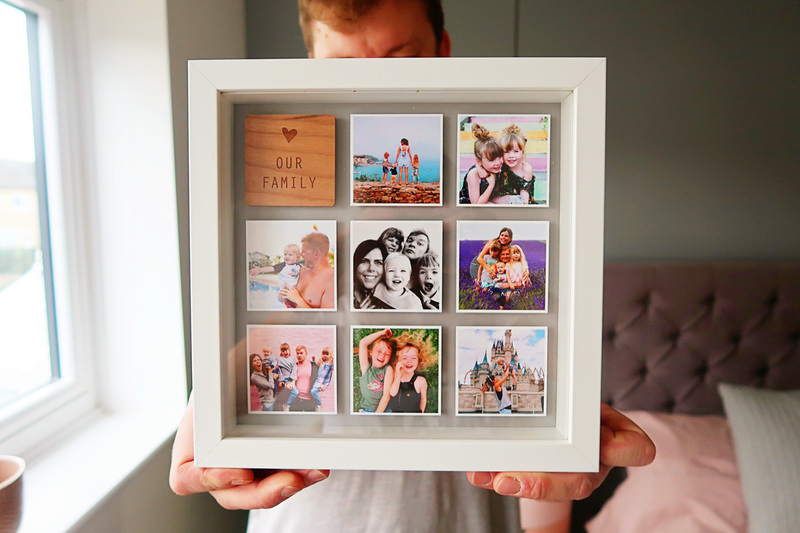 That photoframe is absolutely gorgeous and I might have to treat myself to one (or at least drop a few hints to the husband for my birthday in a few months time). And the ‘ten reasons notes are such a lovely idea too.